Kimberly Davis has over 23 years experience in the healthcare industry. As Senior Executive Consultant with Medical Management Services, Kimberly specializes in client relations and management. Her expert skill set brings an experience driven vantage point to analyzing, identifying, and developing plans resulting in specific operational enhancement. Kimberly began her career in revenue cycle management working directly with hospital organizations and multispecialty physician offices. After a decade of the hospital and physician reimbursement connection, her path shifted to working directly with multispecialty physician offices in operational management. Her experience as an executive manager has enabled involvement in all levels of practice operations from customer service excellence and budgets to establishment of long-term goals and assistance in strategic planning. Her operations background has been enhanced by vast accounting knowledge and acquisition of a skill set in human resources. 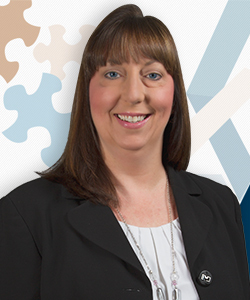 Kimberly has substantial experience in all aspects of revenue cycle performance, from complete turnaround projects to optimizing systems to maximize results and efficiently utilize high cost employees such as Certified Professional Coders and Support Services Professionals. She is an active member of the Medical Group Management Association (MGMA), and the American college of Medical Practice Executives (ACMPE) earning her Certified Medical Practice Executive (CMPE) designation in 2011.